It has been stated that the European Muslim Union 2013 Ordinary meeting which is going to be hosted by the Academy Cyprus, Development Platform will be held in the TRNC for the first time between the 20th and 22nd September. It was recorded in the statement made by the Academy Cyprus that the meeting of the European Muslims Union, which represents 40 million European Muslims, will be held in the TRNC under the presidency of Prof. Dr. Nevzat Yalcıntas and hosted by the Academy Cyprus. The aim of the meeting which will be held between the dates of the 20th and 22nd September is stated as: “Promotion of the island which has hosted nearly all religions within its thousand year old history and embodied all cultures, building a bridge between countries and explaining the just case of the Turkish Cypriots to all Europeans”. The participant countries at the meetings which will be attended by 120 people from 16 European countries and will last for 3 days are as follows: Turkey, Germany, UK, Holland, Belgium, France, Russia, Spain, Italy, Serbia, Slovakia, Poland, Bulgaria, Czech Republic, Albania, Bosnia and Herzegovina and Macedonia. The UK daily ‘Financial Times’ published the previous day that cigarette smuggling has been discovered from South Cyprus to the United Kingdom (UK). It was stated that 9% of the captured smuggled cigarettes in Ireland last year were from South Cyprus and it is confirmed that the production was made in South Cyprus. 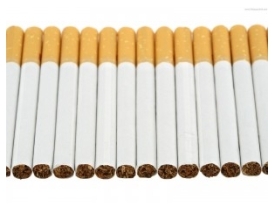 According to the news, the cigarette called ‘The Gold Classic’ is being produced by Explosal Company in South Cyprus. According to ‘Financial Times’, the UK Customs officials stated that the cigarettes which are produced in Cyprus and other small countries, are sent to Africa through legal channels and then the cigarettes are loaded into containers and sent to the UK, Ireland and other EU countries through illegal channels without being opened.